The Nifty futures on Singapore Exchange (SGX), an early indicator of Nifty50's performance back home, traded 20 points or 0.18 per cent higher at 10,968 at 08:16 am. 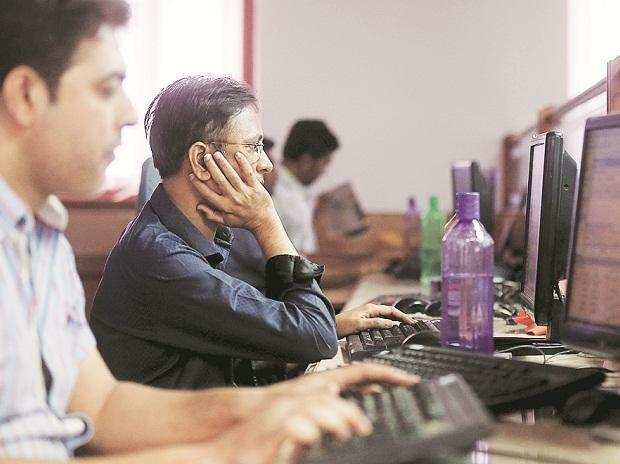 ZEE Group stocks: Lenders to the Zee Group have asked the company's chairman Subhash Chandra to provide a personal guarantee for payment obligations on an "irrevocable and unconditional" basis. The Zee group owes Rs 13,500 crore to lenders, whose exposure is secured by equity shares of listed firms that include Zee Entertainment and Dish TV. Earnings today: Over 125 companies are slated to unveil their financial results for December quarter of FY19 today. Some of the prominent names include ACC, Apollo Tyres, BHEL, GAIL, Dish TV, DLF, Century Ply, Reliance Infra and United Bank of India. Dr Reddy's: Dr Reddy's Laboratories Limited is among the dozens of companies named in a price-fixing complaint filed by United Healthcare Services Inc and a host of other firms in the US last month, said a Business Standard report. Reliance Communications (RCom): The company on Monday moved the National Company Law Appellate Tribunal (NCLAT) to withdraw its opposition to an insolvency petition filed by Ericsson India in the NCLT, Mumbai. Ericsson and RCom had reached a settlement agreement in the NCLAT. The tribunal had, however, said Ericsson could revive the insolvency petition if RCom failed to pay within the deadline. Coal India: The state-run coal miner on Monday said its board of directors has approved buyback proposal of over 4.46 crore shares at a price of Rs 235 a piece for an aggregate consideration not exceeding Rs 1,050 crore. Bharti Airtel: Moody’s Investor Service has downgraded Bharti Airtel by one notch to Ba1 from Baa3, on concern that cash-flow generation at India’s second largest telecom operator will remain weak for several quarters to come. IRB Infra: The road developer posted a net profit of Rs 219 crore for the third quarter ended December 31, 2018, up 6 per cent from Rs 207 crore in the corresponding quarter of FY18. Total income stood at Rs 1,835 crore, registering a growth of 37 per cent. Future Retail: The company on Monday posted a net profit of Rs 201.43 crore for the quarter ended on December 31, 2018. The company had reported a net profit of Rs 183.14 crore for the same period of previous fiscal, Future Retail Ltd said in a regulatory filing. Balrampur Chini: Leading sugar firm Balrampur Chini Mills Monday reported 96 per cent jump in net profit at Rs 120.32 crore for December quarter, 2018-19. SRF: The company reported a consolidated net profit of Rs 166 crore for the third quarter of FY19. This represents a 26 per cent jump over the consolidated net profit of Rs 131 crore in the corresponding quarter previous fiscal. Total revenue for the quarter under review grew to Rs 1,964 crore, up 41 per cent over Rs 1,397 crore. Navneet Education: The company's revenue for the quarter grew 4.1 per cent YoY to Rs 181.6 crore. EBITDA margins for the quarter declined by 310 bps YoY to a multi-year low of 8.6 per cent on account of higher raw material expense and negative operating leverage. PAT declined 36.5 per cent YoY to Rs 7.5 crore.